Conventional tests: urine test, blood test, and kidney biopsy. - Kidney damage tests. Checking items include: UTP, U-malb, U-TRF, U-IGG, β 2-microglobulin, α1-microglobulin, α2-macroglobulin, κ light chain, λ light chain, U- NAG, U-GGT, and Uosm. - Selective urine protein index (SPI). - Complement in blood serum test. This test include C3, C4, CH50, C3B, etc. - Toxins in blood test. Checking items include: BUN, Creatinine, UA, β 2-microglobulin, Cyc C, RBP, HCY, and PTH. Over 50% of people with this disease develop into Chronic Kidney Failure within 10 years. Fortunately, timely and effective treatment can help patients prevent renal failure. For information about the best treatment for you, feel free to Contact Us. The risk of this disease returning in the transplanted kidney varies from 20-50%. The recurrence can happen within hours to days, though most cases will be within the first year after transplant. More than half of patients with recurrent FSGS in their transplant will lost their kidney within 5 years. Hence, once the disease comes back to the new kidney, it is essential to get timely treatment and avoid transplanted kidney failure. Blood Pullotion Therapy is recommended. 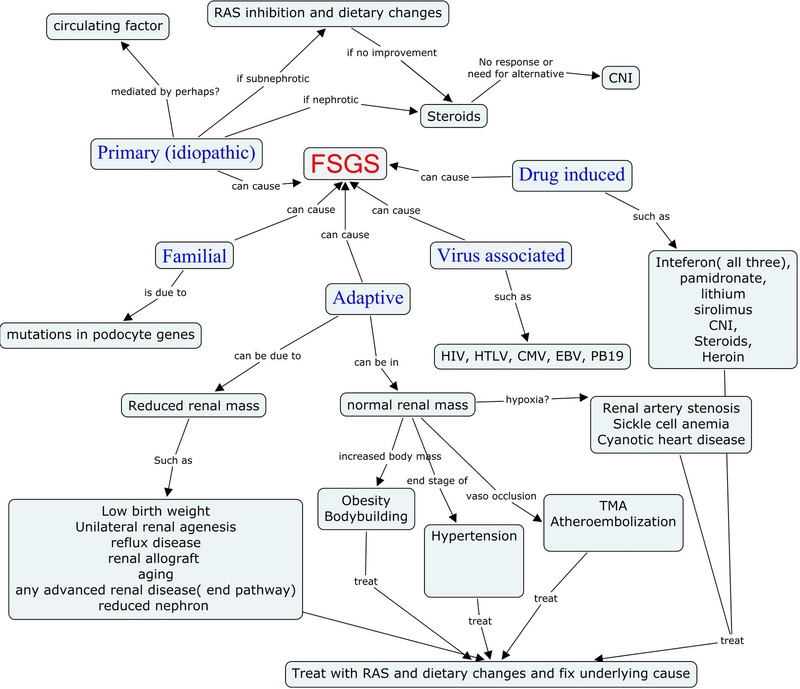 More than half of those with focal or segmental glomerulosclerosis develop chronic kidney failure within 10 years.